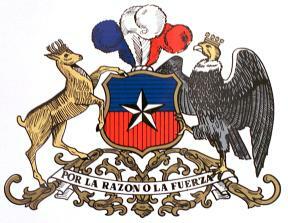 All the information about the Republic of Chile. Chile is a narrow strip between the Andes and the South Pacific Ocean. It is located on the extreme southwestern coast of South America and is bound by the Pacific Ocean to the west, Argentina to the east, Bolivia to the northeast and Peru to the northwest. Chile extended from the driest desert in the world, Atacama, in the north, to the fertile soils of the center valleys, the lakes and rivers of the southern forest, and the fjords and the patagonic plains. Also Chile has islands in the Pacific Ocean like the Archipelago Juan Fernandez (with the Robinson Crusoe island) and the mythical Easter Island (Isla de Pascua or Rapa-Nui) and the Chilean Antarctic Territory in the White Continent. It's a mix of the european influence and the traditions form the native groups (aymará in the extreme north, the mapuches in the central and southern Chile, principaly). The economy is mostly driven by trade, which represents more than 65% of GDP. Its main export product still continues to be cooper followed by other mining and agribusiness products. However copper is not nearly as important (40% of total value exported) as it was 30 years ago (when it represented 70% of exports). Recently Chile has also started exporting products such as fine wines from various regions, salmon and wood pulp. While the main industry of the northern part of Chile is mining related, the southern half has quite extensive agricultural, fish farming and forestry sectors. The central zone concentrates most of the services and industry. The two main ports, Valparaíso and San Antonio, are located at approximately 100 km from Santiago. Chile has a large service sector and has a modern and liberalized telecommunications infrastructure. Tourism is expanding rapidly, and foreign visitors spend more than US$1.3 billion yearly. Tourists are attracted to the rugged beauty of the southern woodlands, the emptiness of the northern desert plains and the skiing season in the Andes mountains (May to September). European tourists are specially attracted by the Patagonia. About 85% of Chile's population live in urban centers, with 40% living in Greater Santiago. The population in 2004 was 15.8 million, with a growth rate of 1.4%. Life expectancy at birth is 76 years. 95% of the people are white or white-amerindian. Most citizens are of mixed Spanish and Native American ancestry in varying amounts. Many of the Spanish immigrants came from the Basque ethnicity, while a lesser but significant portion came from Andalusia. A small, yet influential number of Irish and English immigrants arrived in Chile during the colonial period. Government-sponsored immigration from Germany began in 1848 (south of Chile) and other inmigrations come from Italy, Croatia, France and Palestine. The principal language is the Spanish and few people use the indigenous languages, but English is very extended. 70% of the people are Roman Catholics, 15% are Protestant and 9% are jews. Chile is a tolerant and pluriethnical country, gentle and respetous with the foreign people. A lovely country to know. When the first Spanish arrived, Quechua tribes inhabited the northern region, and Araucanian tribes inhabited the central region and the northern part of the sothern region. The Incas were in control of the northern area and part of central Chile. Warlike Araucanian tribes, who held the Incas back, dominated much of the rest of the country . The first Spanish settlements were established in the mid-sixteenth century: Santiago de Nueva Extremadura in 1541 and Concepcion in 1550 by the spaniard Pedro de Valdivia. Spanish settlers, mainly from Andalucia, were attracted to central Chile because of the pleasant climate and fertile soil. The settlers had to face repeated assults from the Araucanians. The on-and-off war with the Indian aborigines continued into the second half of the nineteenth century. By the mid-seventeenth century, the population of the Spanish settlements and their surroundings numbered approximately 100,000. This population grew to about 500,000 by mid-eighteenth century and to one million by 1830. Those with European blood were concentrated in central Chile , between Santiago and Concepcion ; few settled in the northern and southern regions. This pattern of dispersion began to change only in the second half of the nineteenth century, with the rapid growth of mining activities and the inmigration of non-Iberaian Europeans as germans, italians and yugoslaves. Under Spanish colonial rule, northern and central Chile were part of the Viceroyalty of Peru. The south remained under the control of the Araucanians almost until the nineteenth century. Independence was first declared in 1810. At that time, central Chile was to a large extend controlled by a small, upper class of criollos (locally born Europeans), most of them owned large estates. A period of internal instability and striffe followed, which resulted in the restoration of Spanish rule in 1814. Combined Argentinian and Chilean forces under Jose de San Martin and Bernardo O'Higgins, who crossed the Andes from Argentina , managed to defeat and drive out the Spanish army and restore Chile's independence (1818). O'Higgins became Chile's first leader. Chile defeated Bolivia and Peru in the War of the Pacific (1879-1883) for the control of the Atacama Desert and its rich mineral deposits. In the course of this war, Chilean troops occupied Lima. Chile won the disputed territory. 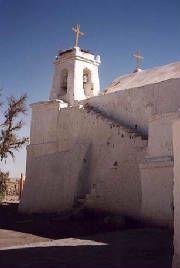 Bolivia lost its outlet to the open sea and Peru the Tarapaca district. A multiparty, parliamentary regime came into being in 1891, however, the interests of the upper class, comprised mainly of owners of large states and wealthy business people, continued to predominate. After a short period of military rule (1924-1925), followed by the reinstatement of the democratically elected president Arturo Alessandri, a new, more progressive, constitution came in force (1925). Left-wing parties, including communist, gained much influence from 1930s onward and played an important role in elections of several presidents. However, the right-wing parties ramained in actual control. In 1960, an incredible earthquake destroyed the South of the country, but Chile could organize the FIFA World Cup in 1962. A presidential candidate of the left-wing parties, Salvador Allende, won the elections in 1970. Upon ussuming office, he nationalized the mines, industries, and public services. Allende was deposed and died in a military coup in September 1973, which was followed by 16 years of military dictatorship by General Augusto Pinochet. Democratic elections were held in 1989 and in 1990 with the asumption of the presidency by Patricio Alwin Azocar, the chilean democracy returned. In 2000 assumed the first socialist president since Allende, Mr. Ricardo Lagos Escobar. Images: 1. Pedro de Valdivia, conqueror of Chile; 2. Bernardo O'Higgins, Supreme Director of the Republic and Liberator of the Nation; 3. President Salvador Allende Gossens. The northern Atacama desert contains great mineral wealth, primarily copper and nitrates. The relatively small Central Valley, which includes Santiago, dominates the country in terms of population and agricultural resources. This area also is the historical center from which Chile expanded in the late 19th century, when it integrated the northern and southern regions. Southern Chile is rich in forests and grazing lands and features a string of volcanoes and lakes. The southern coast is a labyrinth of fjords, inlets, canals, twisting peninsulas, and islands. 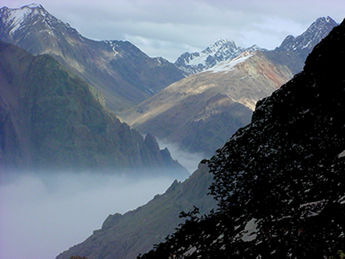 The Andes Mountains are located on the eastern border. Chile is the longest (N-S) country in the world (over 4,200km), and also claims a large section of Antarctica as part of its territory. Also, Chile controls Rapa-Nui, Easter Island, the easternmost island of Polynesia, which it incorporated to its territory in 1888, and Robinson Crusoe Island, some 400 km from the mainland, in the Juan Fernandez archipelago. As may be expected in a country that extends so far from north to south, Chile has many different climatic zones, but all are cooled by the Humboldt current which originates in subantarctic waters off the Pacific Coast . Together with the prevailing southwesterly winds, this creates a temperate climate in most of northern and central Chile , even in areas that lie in tropical latitudes. Since Chile lies deep in the Southern Hemisphere, the seasons fall at opposite times of year from the Northern Hemisphere. Thus, the summer months are December, January and February, while June, July and August are the winter months. When it is spring in North America or Europe , it is autumn in Chile , and vice versa. January and February are the peak travel months except, of course, at ski resorts. Needless to say, it is essential to take the inversion of seasons into account when planning a trip. 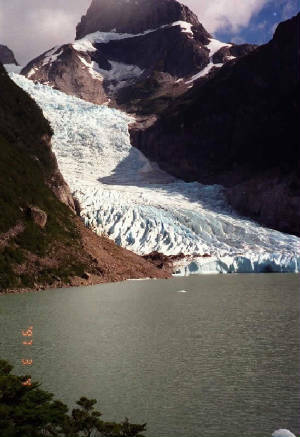 Chile 's far south has a cool, damp climate, but severe cold is rare except at higher elevations. The moderating effect of the ocean prevents extreme heat waves in the summer and keeps temperatures from falling very low in the winter. Thus there is very little difference in temperature from one season to the next. Average annual temperatures are 6 °C at Punta Arenas in the far south, 11 °C at Puerto Montt further north, 14 °C at Santiago, 16 °C at Antofagasta and 18 °C at Arica in the far north. Rainfall, on the other hand, is more variable. North of 27 ° South latitude , there is virtually no rainfall at all. Moisture comes mostly in the form of heavy mists. In north-central Chile , rainfall is heaviest in the winter months. As a general rule, precipitation increases as you head south, culminating in south-central Chile , where it rains year-round and sometimes heavily. The area around Cape Horn can often be stormy. Rainfall tends to be lighter in some other parts of the far south such as Punta Arenas , which falls in the rain shadow of the drier eastern slopes of the Andes. Chile can be divided into three major climatic areas— very arid in the north, cool and damp in the south, and what can be characterized as a Mediterranean climate in central Chile , with pronounced seasonal differences: heavier rainfall in the cooler months from May to August, and sunshine the rest of the year. It does occasionally snow in Santiago and other parts of central Chile , but the snow usually melts quickly except in the mountains. In the north, the interior of the Atacama desert has some of the world's highest levels of solar radiation.